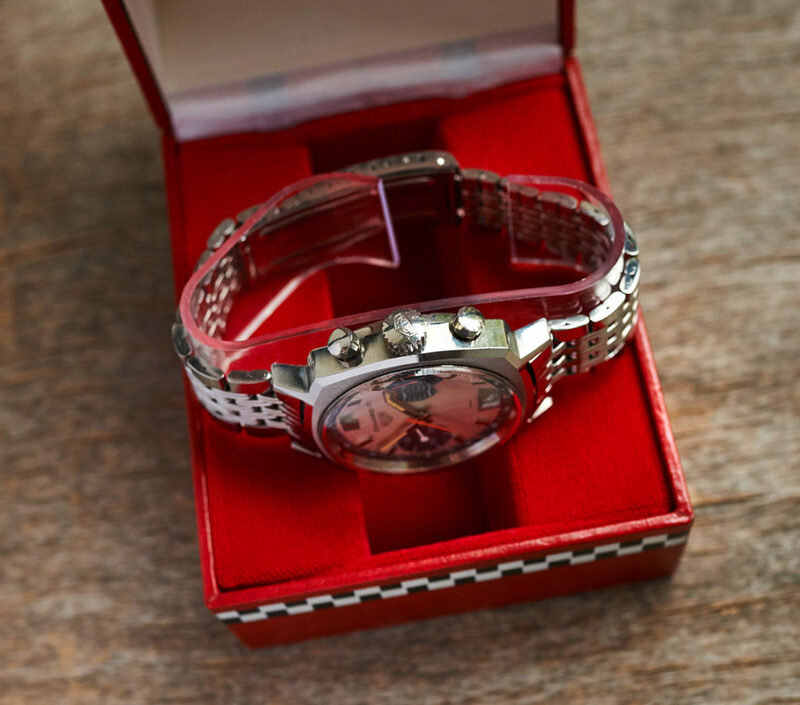 I´m very happy to present you a “once in a lifetime watch”. 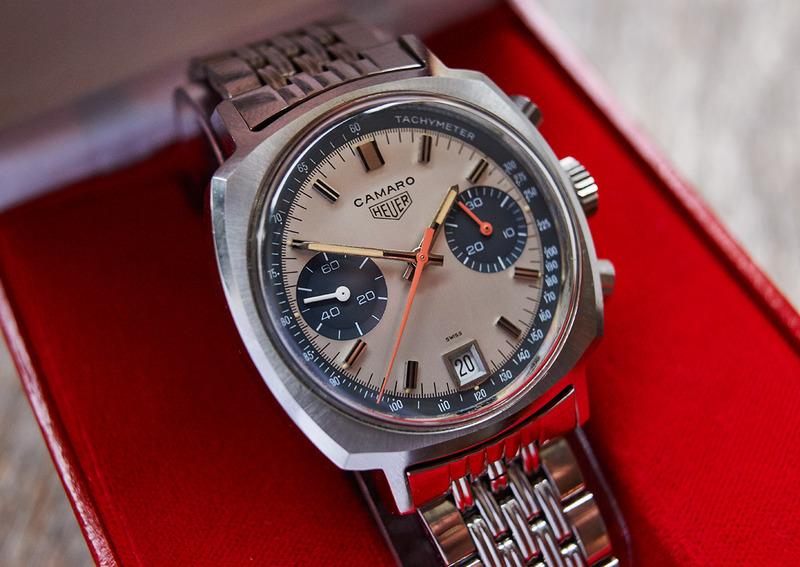 The Heuer Camaro 73443 Dato “exotic dial” from 1970 is a rather rare watch in general. Only a very few pieces have come up for sale in the past years. Apart from that, this Camaro here is even more special regarding it´s extraordinary condition. 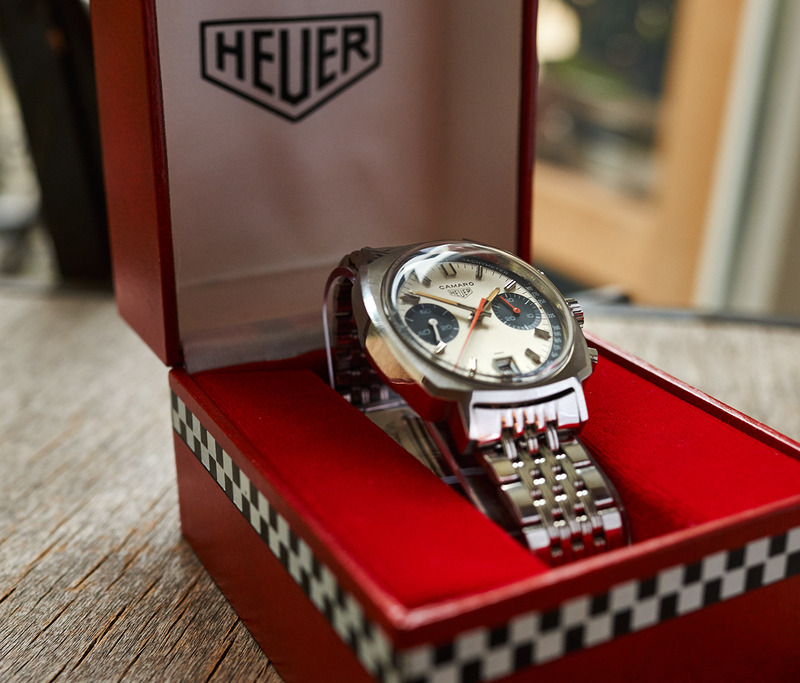 It may have been on a wrist before a few times, but i would still rate it as new old stock. Flawless dial and hands with original lume which is just beautifully patinated. 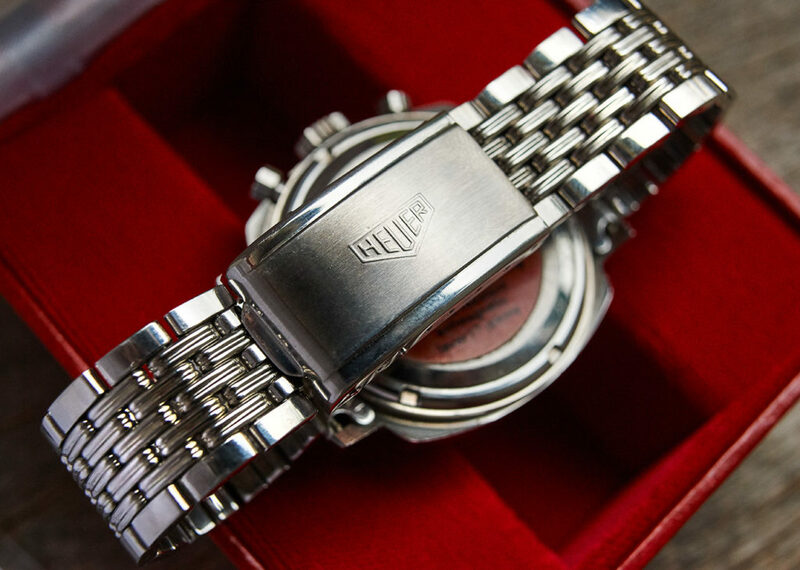 Unpolished and nearly unscratched case with still the original Heuer caseback-sticker on it (serial 213xxx). 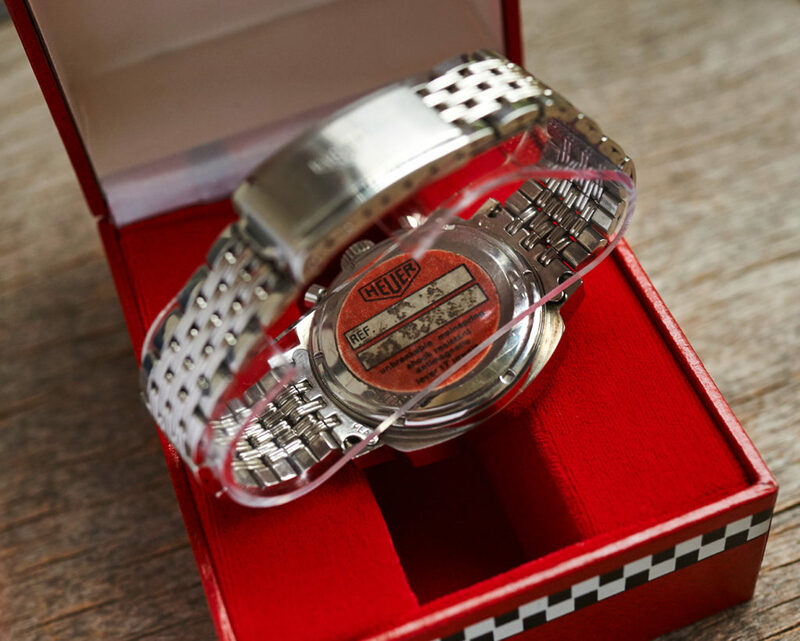 Comes on the matching Gay Freres bracelet (signed 3/70), which is in the best condition a GF band can be. 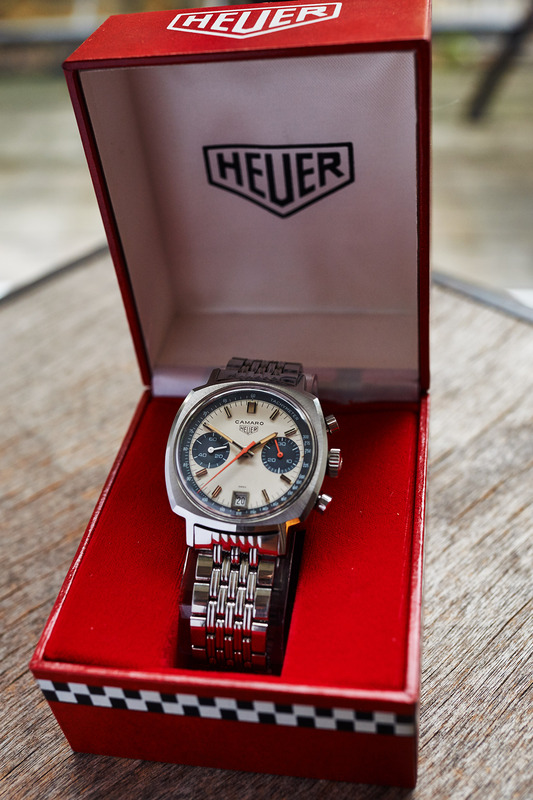 And on top of that it is still covered in a vintage Heuer box.